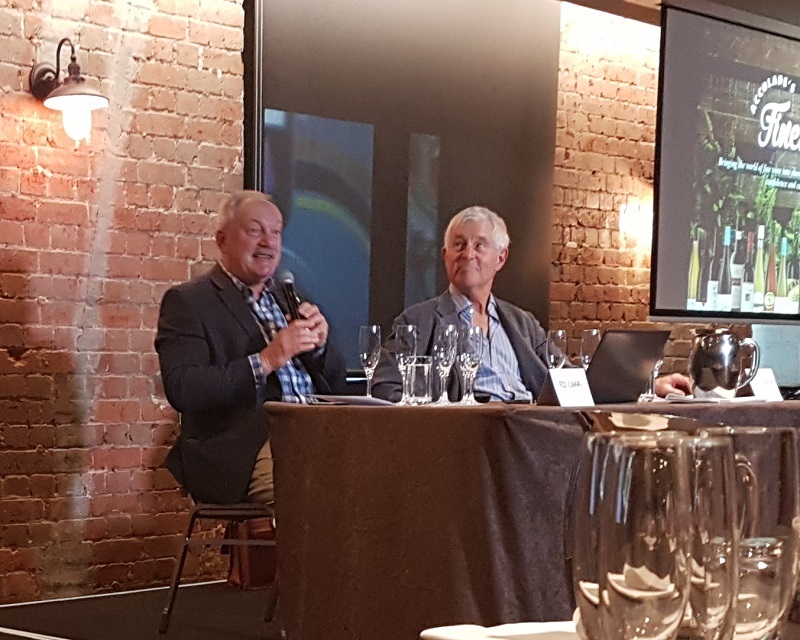 There I was, talking about some of some of the World’s best Sparkling Wines and being subtly rebuked by Ed Carr, the creator of Arras, and Nick Bulleid MW. How did it come to this? I’ll tell you later. As a bit of background. I came to appreciate Sparkling wine later in my career. I found them a bit ‘why bother’, simple and uninspiring. And to be fair, there is a lot of ‘why bother’ Sparkling wine made in the world. 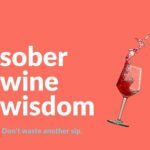 It was once I started to really look for nuance and quality rather than demand the wine give it all up to me instantly, that I started to come around. Now you can’t stop me. I love (good) Champagne and there are certain wines outside of that sphere that I love too. I have a firm belief that you should never buy cheap fizz. Why? Because most of it is crap. There is a reason quality sparkling is expensive and it is because it takes time to craft, skill to blend and there is an element of dark art about the whole thing. Sure, there are plenty of perfectly drinkable fizzes in the world that are “cheap”, I’m just not willing to settle. 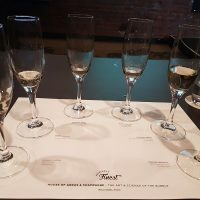 In terms of places to get good quality Sparkling, I’ve had great examples from Prosecco, Franciacorta (Italy), Cava (Spain), Australia, New Zealand, Loire Valley Cremant and even one Sekt (from Germany). And let us not forget the most unlikely (in my mind) but one of my most consumed wines of my TWD career, the DUBL from Aglianico, grown in Campania and made with Anselme Selosse. I know WTF? I’ve never been wowed by Arras. But at the same time, I’ve never seen it in a context where it could be wow worthy. 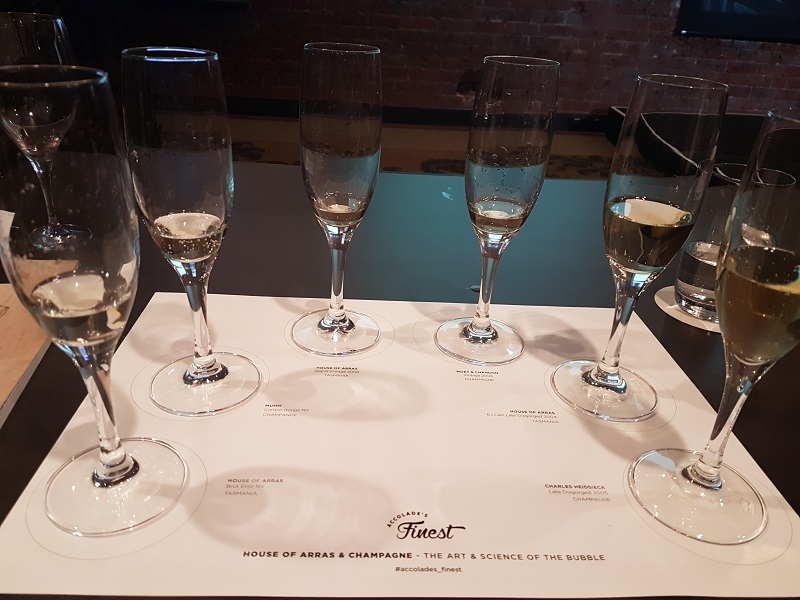 Therefore, when I was invited to a masterclass featuring the House Of Arras with wine maker Ed Carr I RSVP’d in the affirmative. Why? Two reasons: 1. Because despite my reservations, there are many more people who love the wines. And it is forever getting the big thumbs up from Halliday and his fellows; and 2. It is never too late to see the light. Or at least, hear the story first hand and give the wine every chance to look amazing. And to be fair the Arras wines did look pretty smart. 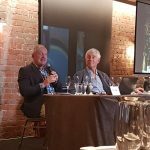 As I sat there listening and tasting Ed said, “(he) was given the job of making the best possible Sparking wine in Australia.” Great, I thought, I wonder how far and wide he searched to get back to the fact that Pinot and Chardonnay really are the best varieties for Sparkling in Tassie? Champagne Varieties. It is fair to say that the vast majority of the world’s greatest Sparkling wines are made from Chardonnay and/or Pinot Noir and occasionally they contain Pinot Meunier. I am noting this as an absolute, incontrovertible wine fact. My mind is racing, I’m now Ed Carr. I can do what I want. I’m ordering Cava varieties Xarel.lo, Parellada, Macebeo. Prosecco (now Glera) is going in for sure. Chenin Blanc because those Loire wines are top notch. Riesling because Sekt can be a thing and besides, Riesling is already available. Hell, I’ve had Aglianico and Nebbiolo based Sparkling wines and Greco di Tufo. This is where my mind races before I even consider that Champagne has 7 permissible grapes: Pinots Noir, Meunier, Blanc, and Gris, along with Arbanne, Petit Meslier, and of course Chardonnay. Not to mention they used to have Gamay in Champagne… wow, that gives a lot of scope to make wine that could be: 1. Truly unique to Australia; and 2. delicious. “Ed, you said it was your job to make the best Sparkling wine in Australia. Beyond the classic varieties, what grapes varieties did you plant to test out? Anything from Spain or Italy? Riesling?” The resounding answer was, “none. We just stuck to Pinot and Chardonnay.” Perhaps it wasn’t that question but the follow up of, “why is that?” that tipped the scales. He mentioned that the other Champagne grapes weren’t available and that they worked hard on finding the right clones. Then Nick MW grabbed the mic and suggested this was is a time before Cava was trendy. It was at this point I realised my mistake. Somewhere along the way, it was decided Arras (a French name in itself) as to be the best Sparkling Wine in the Champagne style outside of Champagne. Perhaps I had hit a sore spot? Perhaps they just wanted smoke to be blown? The trouble to me is that, to my knowledge, the terroir, climate and soil types in Tasmania are so different to Champagne that you can make fine facsimiles of Champagne but you are always going to be not quite Champagne. And don’t get me wrong, that is the safe and sensible route that was the basis of a lot of the Australia wine industry. But at the same time, I still feel like, with Tassie’s disappointing lack of chalk driven terroirs but its abundance of sunshine and UV, that it might have been worth a row or two of each of the Spaniard’s finest work. Hey, who knows, maybe I’ll do it yet. Nick MW suggested I’d need a large budget and a fair marketing budget on top of that… Send donations to the “Prove Phil Right Fund”. The World’s Best Sparkling Wines? We tasted 3 of the Arras Range paired with 3 Champagnes from big houses. I was disappointed at the Champagnes. They were at best inoffensive and at worst, shockingly bad. I would have preferred to see those wines against a variety of wines including at least one grower Champagne. Arras Brut Elite NV A fine Pinot based sparkling wine that ticks all the boxes. Mumm Cordon Rouge NV Simple, cheap Champagne and you now know how I feel about that. Arras Grand Vintage 2008 More Chardonnay and more development. Creamy with big acid structure and more complexity. Easily better than all the Champagne we tasted at this event. Moet Vintage 2008 A mass produced wine. Moet Vintage is the only drinkable wine they make (except Dom Perignon which is outstanding!). Arras EJ Carr late Disgogred 2004 Fair play, this was pretty freaking good. This was worth coming for on its own. Maybe even worth the scorn I was about the receive haha. Then we had the Charles Heidsieck Late Disgorged 2005 I wrote “so freaking boring”, then nearly choked when informed that this bottle of Heidesick was better than the previous they’d had that day. Egads man, what were those like? Phil’s World’s Best Sparkling Wines. My favourite all time experience was a magnum of Billecart-Salmon Brut Rose NV. But, it never tasted like that again. It must have been the perfect age and the perfect batch and the perfect company. I love great vintages of Dom Perignon but the trouble with Dom is they charge you the same price for the great vintages as they do for the OK ones, and the 2003 too (Urgh, that was not a good wine!). The more important question is what do I drink when I have the want for Sparkling? Larmandier Bernier Latitude Blanc de Blancs NV My favourite house. Their work with Chardonnay is so above everything else. They have never disappointed me, except that I used to be able to get them for $75 at full retail. Feudi Di San Gregorio Aglianico Metodo Classico Rose’ Dubl 2006 I found this by accident and have since drunk quite a bit of it. I’ve sold enough to justify it being in the shop thankfully. This is a crazy concept but the wine is amazing. Daosa Blanc de Blancs Piccadilly Valley 2012 I shared a bottle of this with my touch football team recently (along side a bit of Langre) and it is just magic. Sadly, I think it has almost sold out. So don’t delay. Vincent Careme l’Ancestrale Vouvray Brut 2015 Pet Nating before it was cool. It is Champagne like quality but 100% Chenin Blanc. Casa Coste Piane Valdobbiadene Prosecco DOCG NV At first this freaked me out. But I love it now. It is a unique Prosecco but it is a great Sparkling wine. Friends Of Punch Rurale 2016 I just tasted the new vintage of this wine after not selling it for a while. The Lance family at Punch are making some of Australia’s best wines full stop. This is isn’t trying to be Champagne, but it is a complex and satisfying drink. Bearded State Gippsland Sparkling Recently Disgorged 2005 When this wine sells out it will be a sad time. Pinot Chardonnay, 12 years on lees and at that price. Buy some now.